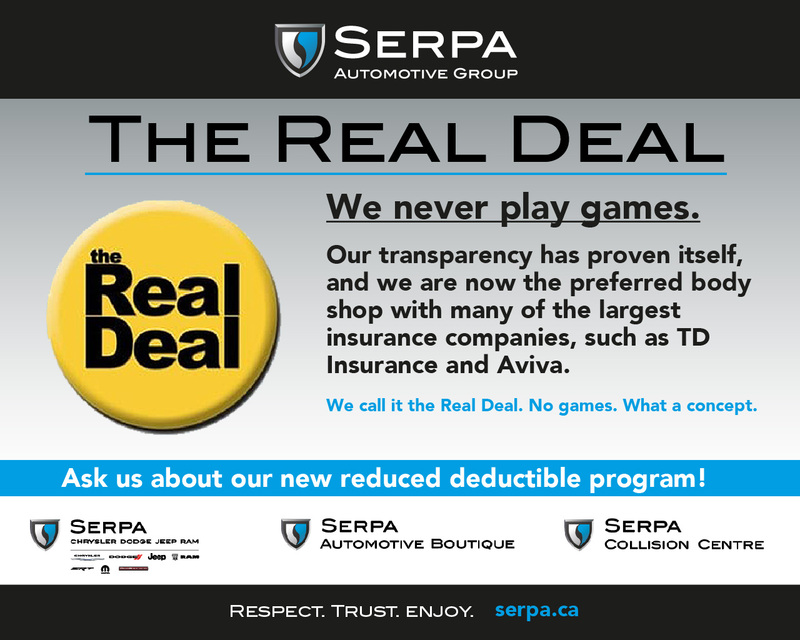 Serpa Collision Centre > Uncategorized > News > Ask about our Real Deal reduced deductible program! 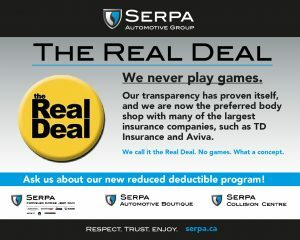 Ask about our Real Deal reduced deductible program! The Real deal is a timeless identity that has proven it’s worth over time.